Bridgestone just published yet another teaser video for their upcoming Super Bowl 2012 Ad titled "Time to Perform". Bridgestone has already released a ton of videos since it announced the Bridgestone Performance Balls in early January. The videos have famous sports stars and well known sports reporters in them. 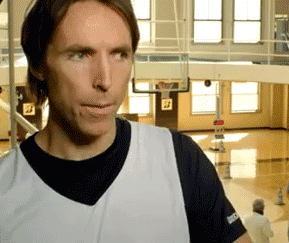 The new episode features All-Star Point Guard Steve Nash talk about Twitter. Bridgestone had very funny and outrageous Super Bowl ads in the past. I still hope they come around in the final Super Bowl 2012 Ad.